The CPS test sled and seatback is longer than the cargo area with seats down of all but the largest of SUVs (think Escalade or Suburban). 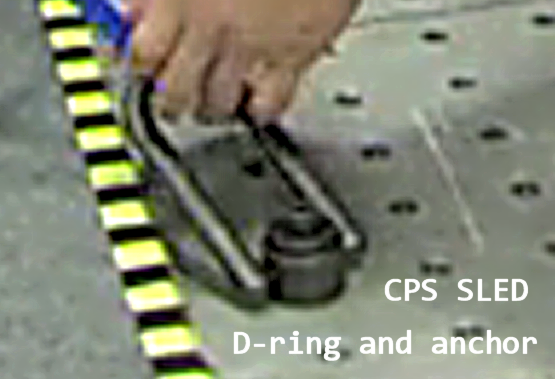 In their first test run, CPS positions a crate in the center of the sled, leaving 20" or more to the simulated seatback. This is not a real world scenario and also runs counter to the requirements of a European standard they claim to follow (ECE R-17, used for crash testing seatbacks with cargo). The second test run positions the crate directly behind the seatback. Even considering typical safety margins, those moorings will be grossly overmatched by the collision forces of a crated dog. End result — a crate on the lose. 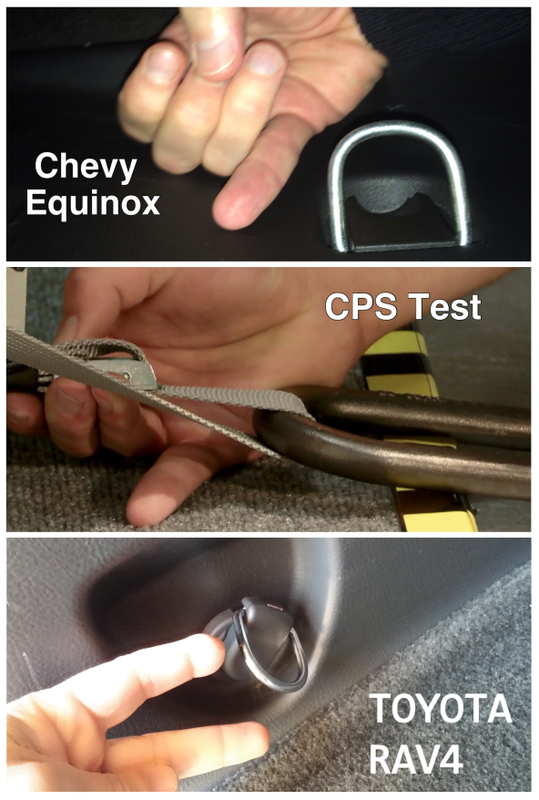 But in the CPS test, the anchor and d-ring are so secure that all a manufacture need do to “pass” the test is use a strap rated for large loads (high forces). There is no need to be concerned that the d-ring and anchor will break free.